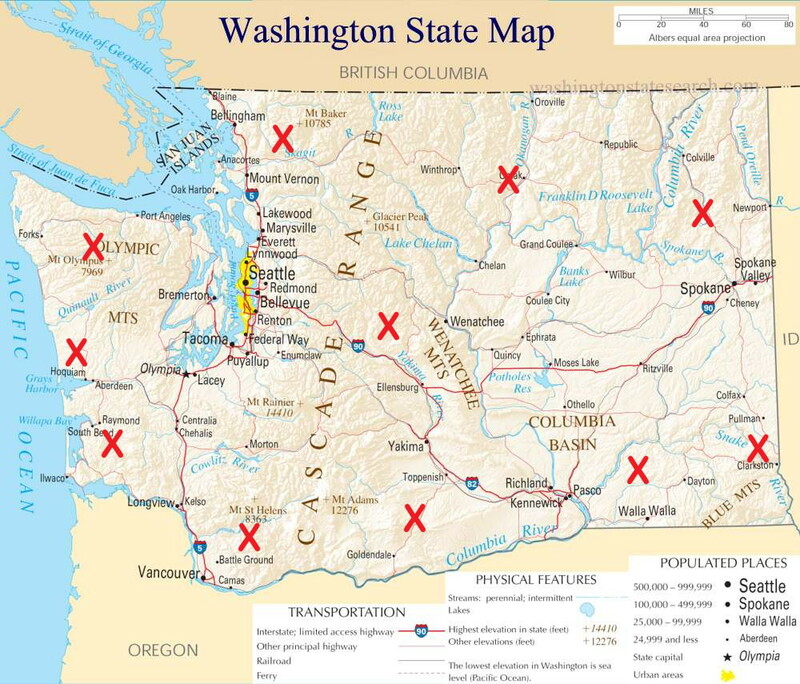 Pictured in Figure 1 is the state of Washington… it shows the approximate locale of the 11 clans that range across the state… remember those near the state borders can and do lap over into the adjoining states. Each clan consists of a nominal 18 members beyond weaning age. 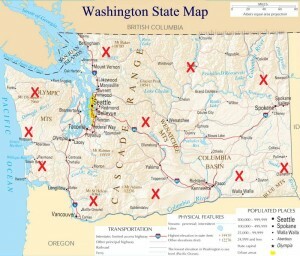 Since the state of Washington is the home to 11 clans, that would mean a population of approximately 200 individuals. This gives a population density for the state of Washington of .003 individuals per square mile or, more simply put, on the average, each individual uses 355 square miles, an area encompassed by a tract 20 miles by 18 miles… if we wonder why they are not easily found. 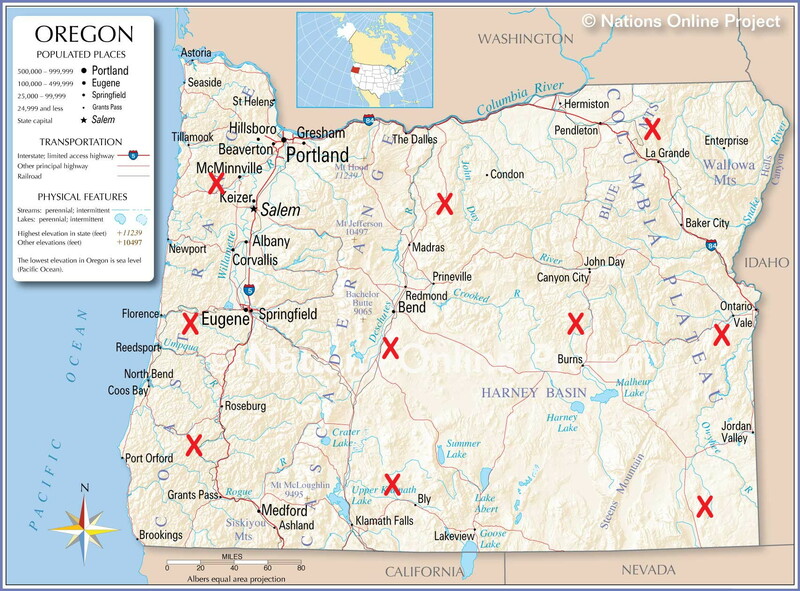 Oregon has a very similar structure for its 10 clans in that they appear to be concentrated around the perimeter of the state with the southeast being almost ignored. This is due to the fact that the desert biome yields little food, hence a small population. 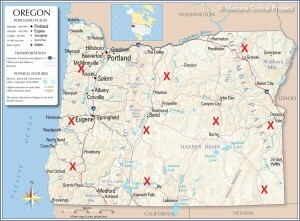 Oregon is larger than Washington with 98,400 square miles. This yields a population density of .002 individuals per square mile. This means that every individual has 547 square miles. This is a parcel 20 miles by 27 miles. When asked, I’ve always offered the figure of 15,000 to 20,000 individuals in all of North America. In light of this assessment, I think that estimate to generous.